As opposed to the toilets in your home, an RV toilet requires a couple extra steps for proper use and maintenance. Whereas the typical stationary toilet has a back-mounted tank that fills and flushes the bowl, a mobile RV toilet is supplied with water via the fresh water tank and on demand pump, or city water source. 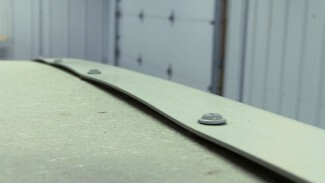 Standard RV toilet operation requires that you pull the foot pedestal up slightly to put a small amount of water in the bowl prior to using it. In this video, we teach you some simple tips for correct RV toilet operation, and show you how to take care of your RV toilet so it remains cleaner while you’re out on the road and lasts for many, many trips. I don’t think I am understanding, I thought the toilet water was supplied via whatever fresh water connection you were hooked up to, be it city water or potable water? Not via the grey water tank? I thought grey water consisted of any used water other then sewage which of course goes to the black tank. Hi, Rex. This question is referring to the description on the video, not the video itself. We need to change the description to: As opposed to the toilets in your home, an RV toilet requires a couple extra steps for proper use and maintenance. Whereas the typical stationary toilet has a back-mounted tank that fills and flushes the bowl, a mobile RV toilet is supplied with water from the fresh water tank using the on board water pump, or city fill. Standard RV toilet operation requires that you fill the bowl with water prior to using it and clear it once you’re done. 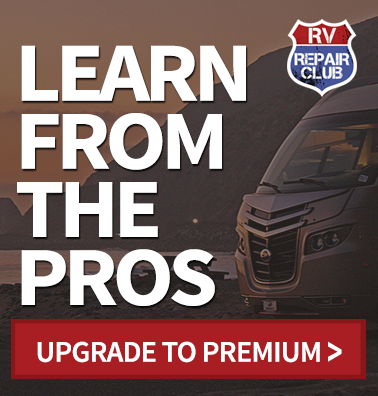 In this lesson, we teach you some simple tips for correct RV toilet operation, and show you how to take care of your RV toilet so it remains cleaner while you’re out on the road and lasts for many, many trips. Dave Solberg walks you through a quick demonstration for cleaning and maintaining the toilet on your RV using the attached sprayer and foot pedal, and he also imparts some expert advice that you can utilize to give your RV toilet a longer life. 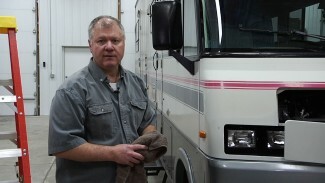 Thank you for catching the description of the video on the “Quick Tips for Better RV Toilet Operation”. You are correct, the toilet is supplied by the fresh water tank using the on board water pump or city water fill. I have sent a request to have the description corrected and reviewed the video and there is no reference to the Gray water in it so that is good. We have several sets of eyes proofing the videos and descriptions but every once in a while something slips through. Thanks again for the catch! Gray water ? I have never seen an RV that uses gray water to flush the toilet. EVERY RV I have ever owned used fresh water !!!! Gray water can have food scraps etc. that could clog the small piping going to the toilet !!! I have yet to see any of these “Free” videos. They are ALWAYS “currently unavailable”. As a premium member I don’t really think I’m getting my money’s worth. Does anyone monitor this site? Hi, Jay. We are sorry to hear you are having trouble viewing the videos. Please contact us at 1-855-706-3536; our Customer Service Team would be happy to assist you. A bit of misinformation. The toilet water is not supplied from the gray water tank. In fact the gray water tank has no relation to the toilet. In our RV the black water tank is under the toilet. Why does my toilet stink, even after repeated flushing? Is the vent clogged? It smells like an outhouse. This video is an excellent example of why I’ve not ever subscribed, despite the near daily “last chance!” email offers. First, the title of the video, tips for better toilet operation. No, it’s how to flush!! And using what appears to be a very old style RV toilet, with unusual features including 2 pedals and an attached sprayer. The printed info includes the instruction to lift UP on the pedal to fill toilet bowl… which is not what’s shown in the video, is an unusual operation, and quite honestly one that would break my toilet flush and fill pedal!!! Obviously, the grey water fill mistake had been corrected. 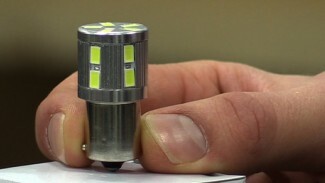 This video, highlighted as a new offering in your email today, was actually first presented more than 18 months ago!! Gee, I can’t imagine why I haven’t subscribed yet, for any of the prices offered ($3.95-$5.00)??!!?? We appreciate your feedback and it has been forwarded to the proper department. Your comments are important to us and help with the development of our online video streaming community. We will continue to listen and work hard for your complete satisfaction. There is no obligation to sign up for our premium membership! 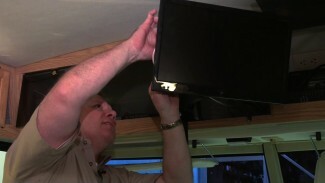 We send weekly e-newsletters that feature free video and article content from our RV Repair experts. You can change the type of emails that are sent out to you by clicking on the Preference Center located at the bottom of any of the emails you receive from us.